To follow Dr. John's Story, enter your email. Dr. John Michael Haught, MD, age 67, of Beckley died Sunday, February 24, 2019, peacefully at home. John Michael "Mike" Haught was born December 18, 1951, in Huntington, WV, to Walter Fredric and Ruth Elizabeth Haught. He was raised in Huntington and graduated from Huntington East High School in 1970. Mike attended West Virginia University, where he was a member of the 1970-71 freshman basketball team and received his undergraduate degree in biology with honors from the College of Arts and Sciences in 1974, and his medical degree from the WVU School of Medicine in 1978. He served his residency in internal medicine at the Charleston Area Medical Center, Charleston, West Virginia, and completed his gastroenterology fellowship at Allegheny General Hospital, Pittsburgh, Pennsylvania. He has maintained a private practice in Beckley since 1984. Dr. Haught was a notable and respected physician in the Beckley area and recognized to be thorough with every patient to ensure they received the care they needed. He was passionate about his profession and never short of conversation about his numerous hobbies which included music, computers, books, and all sports. Survivors include his wife of 42 years, Jackie Sue Haught; three children, Amy Lynette (Brian) Robinson of Pittsburgh, PA, Justin Michael (Crystal) Haught of Richmond, VA, and John Matthew (Shelley) Haught of Stamford, CT; four grandsons, Jackson Marshall, Jordan Matthew, John Vincent, and Lucas Isaac; two brothers, Joseph Fredric (Leigh) Haught of Daytona Beach, FL, and James William (Linda) Haught of Huntington, WV. He was preceded in death by brother, Walter David (Patti) Haught of Huntsville, AL, and his parents. Mike was a loving, devoted, and supportive husband and father and he will be severely missed by his family as well as all that knew him. A Memorial Service will be conducted on Friday, March 1, 2019, at 6 p.m. at the Rose and Quesenberry Peace Chapel in Beckley with Rev. Mr. Harry Evans officiating. 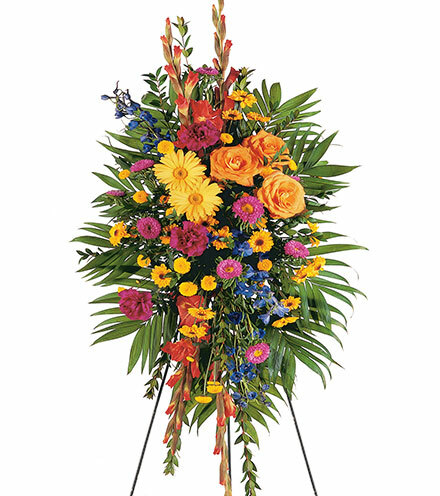 Friends may visit with the family from 4:30 p.m. until service time at the funeral home. 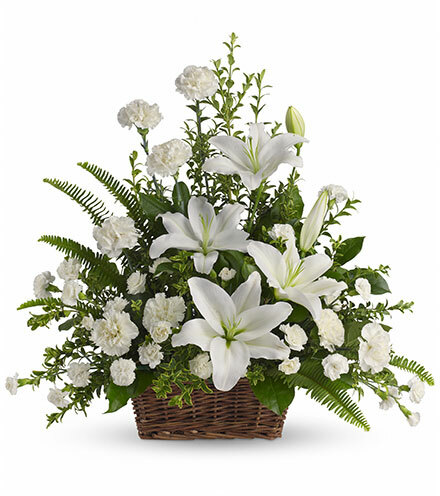 Arrangements by Rose and Quesenberry Funeral Home, 1901 S Kanawha St, Beckley, WV 25801. So sorry to hear of Dr. Mike’s passing. Prayers for all his friends & family. He is missed. Our family grew up across the park from Mike, Willie and their folks (Chick and Joe were older then), and they were some of the kindest people you could ever meet. (My sister, Debby, was the same age as Willie and Mike was a year younger than I.) Mike had the character to be the only one in his family to go to Highlawn Presbyterian Church. He got up every Sunday and walked there to worship. He was, I am sure, a good man, and the world is a little sadder for his passing. I WORKED WITH DR.HAUGHT IN THE E.R. AT R.G.H. IN THE EARLY 1980'S AND THEN IN ENDO FOR MANY YEARS. HE WAS THE SMARTEST MAN THAT I HAVE EVER MET. HE WAS KIND AND CARING TO STAFF AND HIS PATIENTS. HIS KINDNESS WILL NEVER BE FORGOTTEN AND HE WILL BE TRULY MISSED. TO THE FAMILY I HAVE TO SAY YOU WERE LUCKY TO HAVE THIS MAN AS YOUR HUSBAND,FATHER,AND GRANDFATHER. Very sorry to learn of Mike's passing. We worshipped together at Highlawn Presbyterian Church . I remember Mike as a good athlete in both football and basketball at Huntington East. A very talented individual with a kind and humble spirit. Our thoughts and prayers are with you Willie and the Haught Family. God Bless all. Mike was my Fraternity Brother and roommate one year at WVU. He was so much fun to talk sports with and always kind to everyone. He will be missed. I have fun and fond childhood memories of Mike and was sad to hear of his passing. Peace be with you Willie, and family. So very sad to hear of Mike’s passing. So many memories of him as a young person next door to me on Merrill Avenue. How many times did that basketball come into our yard? My deepest sympathies to the family and especially to Willie and Joe. God bless you all. Dr. Haughty was a nice and caring person. He was my parents and brother ‘s Dr. when they was living. He will be missed and our prayers are with you at this time. Mike was a fraternity brother of mine at WVU and more importantly a friend. He was a good guy that was totally dedicated to becoming a doctor. Many fond high school memories of Mike on the basketball court. My brother Jeff Adkins was his age. Sympathies to my old friend Willie as well. Great Enslow Junior Times. Praying for you all now. This is truly a sad day. God Bless his Family and many friends. He had a good and caring Soul. He shall be missed. Michael was my special Dr. for many years. I will miss him. He and my husband both had their offices at Beckley Medical Arts for many years. Their professionalism is slowly fading from our culture. To his family, we are so sorry for your pain and the loss of a fine man. There are no words to express the sadness we are feeling for the loss of this wonderful man, Physician.and very dear friend. Our thoughts and prayers for the family and may you find comfort in knowing,, he’s at peace and without pain. My husband and I have been a patient of Dr. Haught since 1992. We last saw him in January. He wasn't just our doctor but he also became a friend that we could talk to. Our fondest memory was about 15 years ago. My husband scheduled to be scoped at 9 that morning. They found Dr. Haught in the cafeteria talking with other doctors around 1 that afternoon. He just got caught up in talking. Our thoughts are you and your family. I have spent days trying to find the right words. These are the ones that keep coming to my mind.